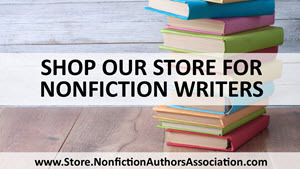 Welcome to the Nonfiction Authors Association Marketplace, where you can locate service providers to assist you with all aspects of publishing and promoting your books. Join the Audiobook Revolution! Full audiobook services include narration, finding a great narrator, directing authors narrating their own books, and promoting the finished audiobook. Prices start at $600. Richard Rieman is an award-winning audio book self-publishing consultant, narrator, and producer. He has produced or narrated over 100 titles on Amazon, Audible, iTunes and more. Richard is also author of “The Author’s Guide to AudioBook Creation,” the 2016 Global eBook Awards Gold Medal Winner in Writing/Publishing. We work with nonfiction authors worldwide! Audiobooks are the fastest growing segment in publishing – leverage your hard work to grow your audience, influence, and income. We’ve been building businesses for 20+ years and specialize in the needs of nonfiction authors, thought leaders, experts and entrepreneurs. Full done-for-you production and publishing, whether you want to narrate your own book or choose from 4,000 professional narrators. Marketing and promotion consulting and services also available – we’ll make your audiobook an incredible asset to help you reach your goals. Tina Dietz is an internationally acclaimed business consultant, audiobook publisher, podcast host and launch specialist, and professional speaker/voice talent who has been featured in such outlets as ABC, Inc.com, Huffington Post and Forbes. 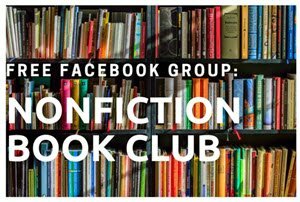 Nonfiction Book Awards – A year-round program hosted by the Nonfiction Authors Association recognizing quality nonfiction books. Self-published and traditionally published titles welcome. View past award winners. IBPA’s Benjamin Franklin Book Awards program honors quality books produced by independent authors and publishers. Dan Poynter’s Global Ebook Awards recognizes the best in ebooks. Award recipients also receive promotional opportunities and an award badge for your website. The Foreword Magazine Indies honor the best independently-published books each year. See our full list of nonfiction book publishing and marketing consultants. Nonfiction book cover clients receive a minimum of 5 front cover proofs within 10 business days (often sooner)! Full-spread, print clients receive their application files upon request. There are no limits to the number of images I work with. I have created more than 2000 book covers for large, traditional publishing organizations, small presses and indie publishers. My clients have been featured in / on numerous high-profile media sources including Oprah, 48-Hours, People Magazine and the Todayshow. Book Cover Express has been in business almost 20 years. We offer book cover design, interior layout, and author website packages. Book design and production services for print and ebooks. See a full list of book distributors here. BTPS offers economical solutions for warehousing and order fulfillment, sales and marketing support, inventory management, virtual inventory programs, editorial services, and book manufacturing including offset, digital short run, and print-on-demand (POD). BTPS is uniquely positioned to serve client publishers, combining the existing networks established by Baker & Taylor with Bookmasters’ decades of book manufacturing and distribution experience. IngramSpark is an award-winning online service for indie authors that provides the same quality print and distribution services enjoyed by big-time publishers. Once you finish and format your book, IngramSpark makes it possible to share it with the world, including readers, over 39,000 booksellers, and librarians, and more than 70 online retailers. Focus on what you do best — creating innovative content — and let IngramSpark do the rest: print, ship, and distribute your book. Learn more about IngramSpark here. Lulu is dedicated to making the world a better place, one book at a time, through sustainable practices, innovative print-on-demand products and a commitment to excellent service. Since 2002, Lulu has powered the knowledge sharing economy by enabling authors in more than 225 countries and territories to publish nearly two million books and eBooks. Our industry-leading tools and global community help authors tell their story, publish it in printed or eBook format, then sell them in online bookstores around the world. At Lulu, authors are in control, owning the rights to their works, setting their own price and keeping up to 90 percent of their book profits. Learn more about Lulu here. 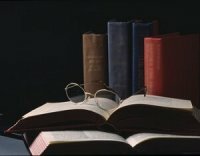 Since 2008, Authority Publishing has developed a stellar reputation as a leader in custom publishing services for nonfiction books. 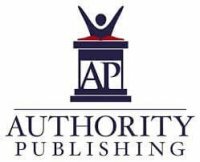 Developed for busy professionals who don’t have the time or inclination to locate and hire contractors and manage the many details involved in publishing a book, Authority Publishing delivers superior customer service with industry professionals who care about producing high quality books. You don’t have to do it all alone and wonder if you’ve made the right decisions. Authority Publishing will help you get it done right the first time. *Special publishing programs for NFAA members: AuthorityPublishing.com. See a full list of book printers here. Square – At NFAA, we use the convenient credit card processing offered by Square for handling sales transactions on smart phones. We use the free card swiper to collect payments for our local chapter meetings across the U.S., and also for selling books and other products at events. Square also offers an invoicing tool that allows you to send digital invoices that your customers can pay online. There is no monthly fee and a low transaction fee. Check out Square. Premium book publishing defines the JETLAUNCH brand. Build your business with a professional book that acts as a customer magnet and establishes your position as an expert in your field. Special Offer for NFAA Members: 10% off all services. See our list of nonfiction book editors here. Constant Contact makes email marketing easy with customizable email templates and automation tools. Add an email sign-up box to your website and integrate mailing list sign-up on your Facebook page. The Nonfiction Authors Association uses and recommends Constant Contact! Get a free trial for Constant Contact here. Marcia works primarily with CEOs, entrepreneurs, consultants, and subject-matter experts to develop quality business books. 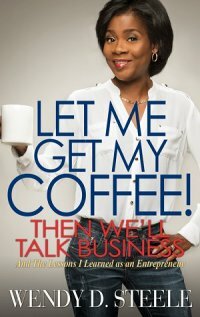 She has authored, co-authored, or ghosted more than 50 nonfiction books for traditional, hybrid, and self-publishers. She’s written NYT bestsellers, award-winners, and titles that have sold in the millions of copies. Marcia’s articles have appeared in Businessweek, Entrepreneur, Woman’s Day, HEALTH, Realtor, and Forbes.com, where she’s a paid contributor, among many others. Corporate clients have included Staples, Vistaprint, Chase Bank, Prudential, The Hartford, PNC, and American Express, to name a few. She is the founder and executive director of the Association of Ghostwriters. And she is a fast writer who is able to write books in weeks, not months, if needed. Feel free to email her to talk about your book. The Association of Ghostwriters (AOG) is the leading professional organization for ghostwriters of books, articles, speeches, blogs and social media content. Members are experienced ghostwriters dedicated to providing high-quality writing. The AOG offers a wide range of benefits designed to help ghostwriters improve their craft and find profitable projects, including monthly teleseminars with industry leaders, a member directory, job postings, networking opportunities, and timely market information. Authors come to her with only an idea…or a completed manuscript. Kate translates their brilliant ideas into a book. Her specialty is creating easy-to-read language in response to the impatient, internet-empowered content consumer. She has a single focus to help nonfiction business authors share their legacy in a meaningful way. Public speakers, corporate self-help experts, business owners, consultants and every type of nonfiction author benefit from her decades of marketing expertise and they experience author success. 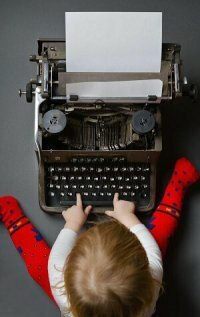 All prospective authors receive a complimentary 30 minute consultation and a rewriting sample, using the author’s current content, to assure them her work is a match for the author’s goals. Learn more on her primary website Kate Writes Right. Connect with Kate on LinkedIn and Facebook. Dana Newman is a transactional and intellectual property attorney, advising content creators and businesses on contracts, copyrights, trademarks, and licensing. She focuses her practice on publishing, technology and start-ups, and also works as an independent literary agent, representing authors of practical and narrative non-fiction. She has extensive in-house legal experience with Moviola and its affiliates, providers of entertainment and communications technologies. Her clients include authors, publishing companies, entertainment production and post-production equipment companies, entrepreneurs, designers, apparel and natural food companies. Specialties: Contract drafting, review and negotiation; publishing law and literary agent representation; business and legal advising; business organization and formation; technology transactions (licensing, development, distribution); trademarks and copyrights; writing. Special Offer for NFAA Members: Flat fee of $500 for a contract review, analysis, and answering any questions – up to 12 pages. Book Review Targeter is a software program that we at NFAA love! This system allows you to search for Amazon book reviewers who have reviewed books similar to yours, and then export their email addresses and websites–or send them an email right from the software. Many Amazon reviewers list their contact information because they WANT to receive review copies of books, and they also host blogs where they share reviews with bigger audiences. You could do this research yourself, but it will take you countless HOURS. Every author needs reviews and we highly recommend Book Review Targeter! We provide the gold standard in social media marketing services specifically for nonfiction authors. (It’s no accident that our name begins with the chemical symbol for gold, au.) Our promotional processes are proven to help you build an online audience for your content, expand your network engagement, and increase website traffic. Your content is shared with your target audience on Facebook, Twitter, LinkedIn, and Pinterest. If you’re struggling with social media, we can help by professionally managing your online presence! Contact us for your Peace of Mind Social Media Audit & Consultation and for our Book Launch Services. Special offer for NFAA members: $100 off first three months of services. We provide marketing mentoring to authors, artists and creatives of all kinds who want to build a solid marketing approach that’s effective and based on individual needs and ambitions. 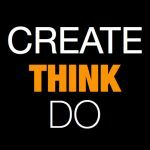 Visit us for more information: http://createthinkdo.com. We’ve worked with authors, entrepreneurs, thought leaders and experts in 20+ industries all over the world. Highly experienced and professional podcast strategy, production, and launches, plus marketing consulting, hosting and interview training, how to become a guest on more podcasts, and more. Tina Dietz is an internationally acclaimed business consultant, audiobook publisher, podcast host and launch specialist, and professional speaker/voice talent who has been featured in such outlets as ABC, Inc.com, Huffington Post and Forbes. Her podcast, The StartSomething Show, was named one of the top 35 podcasts for entrepreneurs on INC.com. Offering discounted business cards, postcards, and other promotional products. We order our NFAA business cards via VistaPrint. Save on your first order with this link. Affordable resource for printing postcards, booklets, banners, and more. We order our NFAA postcards and other marketing collateral through PSPrint. Special offer: Save 15% off all print services with this code: AFALL at PSPrint.com. Great prices on promotional products including tote bags, mugs, pens, and more. PrintGlobe is where we purchase NFAA swag! Visit PrintGlobe. Wasabi Publicity works with authors who want to make the world better and have a commitment to being known as ‘THE’ expert in a particular field or arena. We strategically position their expertise to land brag-worthy broadcast, print, and internet interviews to generate awareness, credibility, and new opportunities. 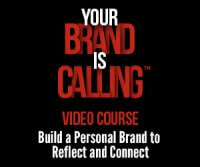 If you would like a free evaluation of your PR strategy, sign up here: WasabiPublicity.com/PR-strategy-call/. Appear on television, radio or news to boost sales of your book while helping the media create their stories. We are compiling a free listing of authors who can serve as a media experts to various media organizations including Newspapers, Television, Radio, Magazines and more. Both first time and experienced authors are invited to be part of this effort. You can upload your listing at AuthorSheet.org along with author headshots, book photos and more so media producers and reporters can get in touch with you when they need an expert in your field. Listing is free but all new listings are vetted. Create your AuthorSheet.org account today and become an expert. Unsolicited listings will be accepted for a limited time and once the database is of sufficient size, new authors will be added by invitation only. So please get your listing uploaded as soon as possible. 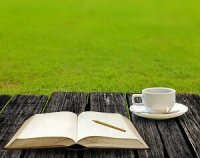 Planning to self-publish your book, but don’t want to do it alone? 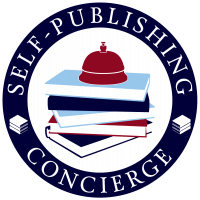 Complete services offered for nonfiction authors, brought to you by the Nonfiction Authors Association: Self-Publishing Concierge Services. Zoom Video Conferencing is a powerful platform for conducting webinars and video-based meetings. 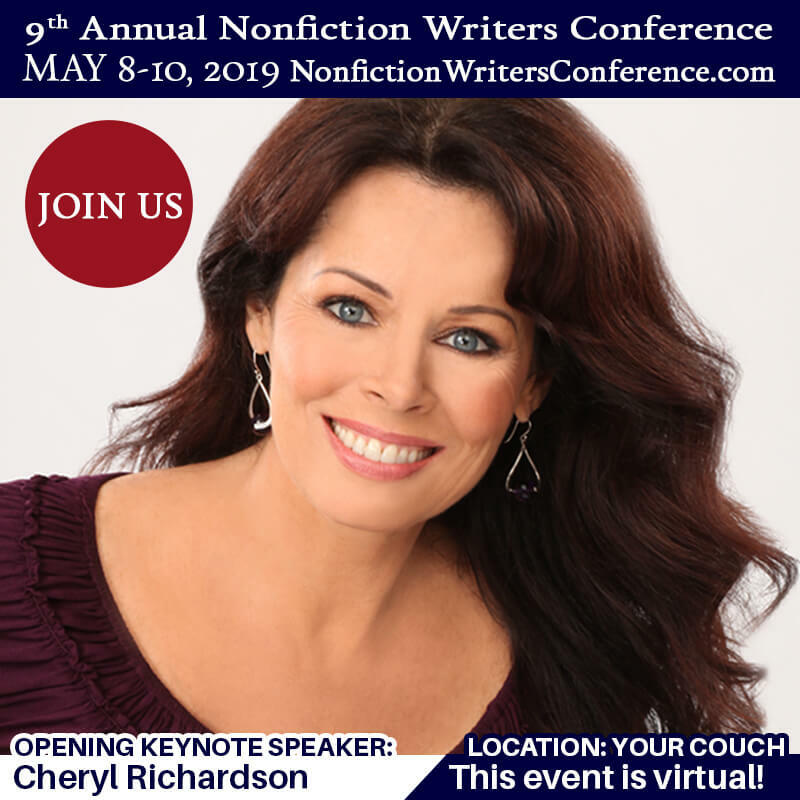 The Nonfiction Authors Association uses Zoom for all kinds of internal and external events and we highly recommend this service! Learn more about Zoom. Ultimate Course Formula is a proven specific step by step system used by hundreds of successful entrepreneurs to build profitable online courses. It is the fastest and most effective way on the planet to create and sell your online course, even if you don’t know what your online course should be about or have a mailing list. It also teaches you how to make sure your course will sell even before you create the first piece of content AND…how to do ALL that without getting overwhelmed with all technical tools and marketing tasks because the program consists of a system that puts you on your way to create a successful online course. Learn more about The Ultimate Course Formula. COMING SOON – As of April 2019, we are in the process of compiling a directory of assistants who work with authors. Check back soon! Simplio Labs is the place where regular web design turns into fabulous graphics! Our designers will transform your idea into reality. Here you’ll find it all: WordPress website design, logos, html, database, mobile sites, micro-sites and E-commerce shopping carts. All just a phone or mouse click away! Special offer for NFAA members: $150 off your site design or a FREE SEO Consultation valued at $350. Specializing in WordPress-based websites that work for any size business (or blogger!). A website that looks great, functions beyond your wildest dreams, and is both easy to use and maintain. Affordable custom themes, easy content management, search engine optimized code, mobile friendly features, user-friendly navigation design, personalized training. Special Offer for NFAA Members: Free Consultation & Strategy Meeting, up to one hour. 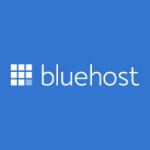 Bluehost is the #1 recommended hosting provider by WordPress.org and the ideal choice for creating a blog or author website online. Get your books out there by creating a custom website to highlight your work. 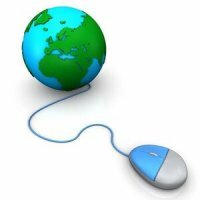 They have 24/7 US-based tech support to answer any and all of your website questions. No coding knowledge is needed with their 1-click WordPress installation and drag-and-drop builder. Their youtube channel has dozens of video tutorials walking you through every step of the way. Receive a special 42% off discounted rate and a free domain name for attending this conference by visiting Bluehost. FreshBooks makes your accounting tasks easy, fast and secure. Start sending invoices, tracking time and capturing expenses in minutes. FreshBooks is built to support the needs of growing businesses. On average, FreshBooks customers double their revenue in the first 24 months. Learn more about FreshBooks. 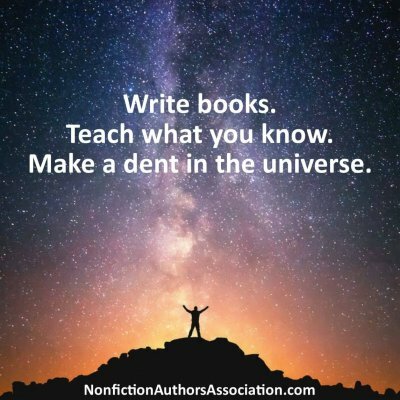 FundsforWriters provides a weekly publication to serious writers seeking contest, grant, market, publishing, and employment calls for submissions. FFW has a weekly free newsletter as well as larger, more encompassing paid subscription entitled TOTAL FundsforWriters. Editor Hope Clark is also a motivational speaker, conference presenter, and freelance writer on the topics of business, nonfiction writing, mystery writing, platform, branding, funding, introverted issues (i.e., The Shy Writer, The Shy Writer Reborn), and more. Special Offer for NFAA Members: TOTAL FundsforWriters for half price of $7.50 Details on savings here. For many authors like yourself, the hardest part about writing and publishing a book is knowing how to do it right. Wouldn’t it be nice to have an all-in-one resource to help you cut through the confusion of self-publishing and save you from costly mistakes? Well, now you can. The Self-Publishing Blueprint was created by successful self-published author and writer’s coach Teresa Funke and her partners at Writing Blueprints. 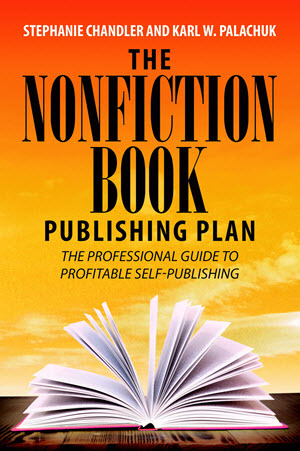 This 9-unit online tool will walk you step by step through each and every aspect of producing, publishing, and promoting your book using detailed videos, checklists, and worksheets to help you choose the self-publishing path that is perfect for your project. And the best part is, once you buy it, you own it, and can use it over and over as you produce new books. 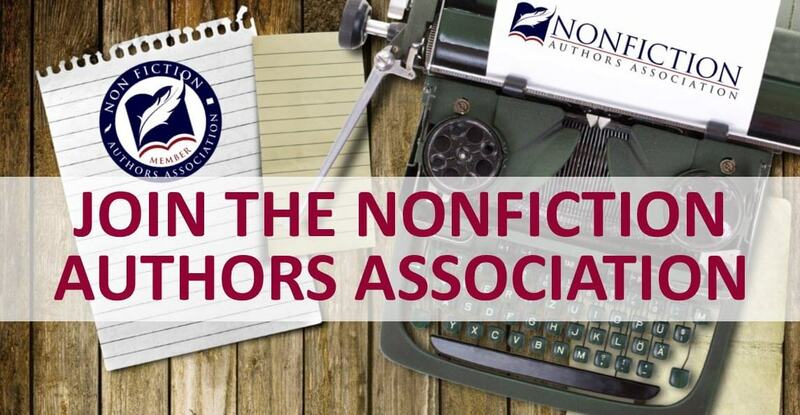 Nonfiction Authors Association members qualify for $50 off the already low price. Just click: www.spblueprint.com and succeed in your self-publishing venture on the first try. Disclosure: NFAA receives compensation for some of the services listed here. We do not endorse or guarantee any of the services listed. Please use your own due diligence when researching and hiring professionals. We also value your feedback. Please report any concerns to us directly.